This is increasingly evident as we are asked to do "more and more with less and less," which may also threaten to overwhelm coping abilities. The most important part of coping with the intensity of the work is to acknowledge its impact on mind, body and spirit. 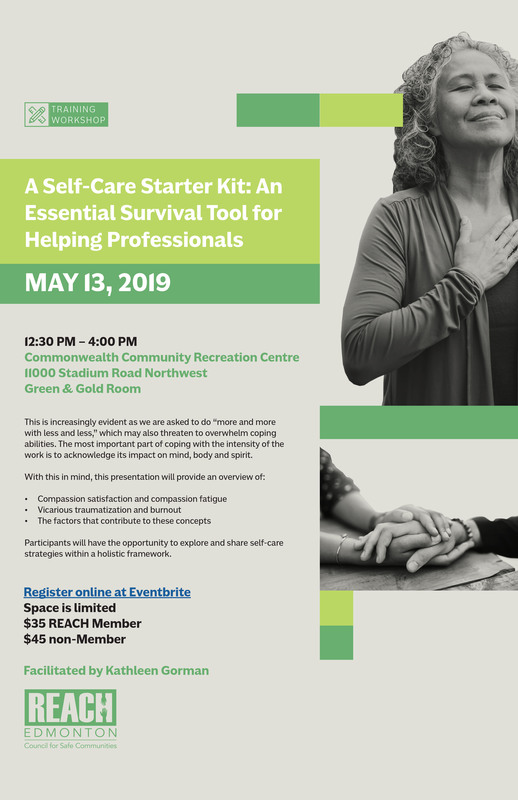 Kathleen Gorman has been working in the fields of trauma, grief and loss, mental health and addictions, as well as domestic and sexual violence for over 38 years with Indigenous families and communities, government services, and not-for-profit agencies. She has held various leadership, clinical counselling, and community development positions in rural and urban locations. Her clinical social work practice is trauma-informed and holistic: Incorporating expressive arts, somatic/sensorimotor psychotherapy approaches, EMDR, CBT and other contemporary modalities and traditional Indigenous ways of knowing and healing. In her consulting/training private practice, areas of focus include vicarious/secondary trauma, historical trauma, trauma-informed practice, provision of trauma-informed clinical supervision and supporting agencies to develop trauma informed service delivery approaches. She holds a BSc in Psychology, a Graduate Degree in Health Administration, a Masters in Health Law and a Masters in Social Work, Clinical Social Work Practice. Kathleen is a registered social worker and a certified trauma treatment specialist (CTTS) with the Association of Traumatic Stress Specialists and a Somatic Experiencing® Practitioner. She provides individual and group counselling at Aboriginal Counseling Services Association of Alberta and is a sessional instructor for the University of Calgary Faculty of SW and field coordinator/sessional instructor for the School of SW at Grant MacEwan University. "I need to practice self-care more and make suggestions to my team for better self-care at work as a team." "Even when one has worked through their own trauma triggers can occur." "When I am numb, I cannot tell if I am hurting others. We cannot be numb in our work with clients." "So helpful, so insightful, so relatable. I am so thankful to have taken this workshop"
Coffee/tea, afternoon refreshments will be provided. Stay up-to-date on REACH training and REACH news, register to join the mailing list here.